While Ubuntu repositories only provide an old version, the popular Handbrake video transcoder has reached the 0.10.1 release for a while. And there are hundreds of new features, changes, and bug fixes in the new releases. At the moment, the official Handbrake PPA does not contain the packages for Ubuntu 15.04. 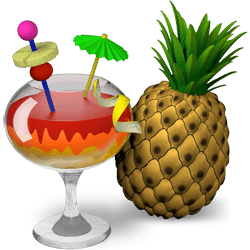 We can alternatively install Handbrake 0.10.1 in Vivid either from Marc Deslauriers’s PPA (unofficial) with black widgets fixes or using the official .deb installer for Ubuntu 14.10 Utopic. The packages in the PPA were built with Unity’s Overlay Scrollbars disabled to fix the blank widgets (see picture above) issue. Once downloaded, open the package with Ubuntu Software Center from its context (right-click) menu and click install it.